services to our region in a reliable manner. That’s why our commission enacted a Resolution to Protect Water Quality. A strong and healthy ecosystem is one of the most reliable means of achieving water quality. A reliable ecosystem is a balanced ecosystem. 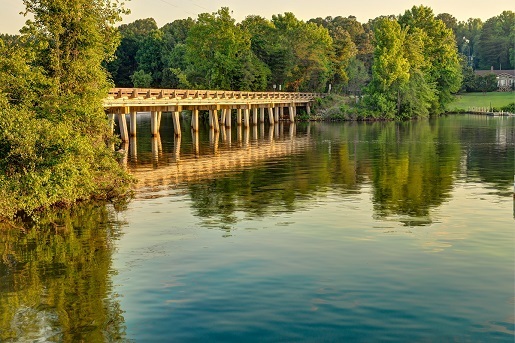 True to our mission, Spartanburg Water enacted a strategy to protect—and strengthen—the ecosystem that supplies our community’s drinking water. To minimize the growth of algae that cause taste-and-odor challenges. To adjust treatment processes that ensure water quality and reduce the taste-and-odor impacts associated with algae. To provide stakeholder education and engagement opportunities to demonstrate the importance of preventing runoff pollution that encourages algae growth in the reservoirs.